If you've got skills to pay the bills, Sports & Fitness welcomes UHD students and employees to register for the annual intramural bowling tournament. The event will be held at 6 p.m. Tuesday, Nov. 26, at the swank Lucky Strike bowling alley downtown at 1201 San Jacinto. Divisions include men's singles, women's singles and just-for-fun. Registration is only $5 per person and includes a cool Sports & Fitness t-shirt and delicious snacks while you bowl. Hurry and register now as entries will be limited. 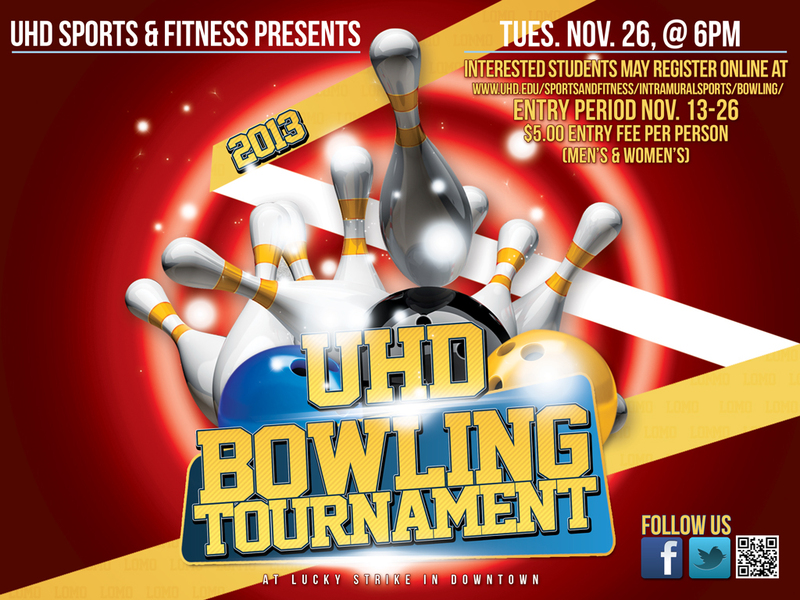 Registration forms are available in the Student Life Center and are available for printing online at www.uhd.edu/sportsandfitness/intramuralsports/bowling.